From 23rd to 24th April, Nida Trust, an organisation which aims to educate the next generation of young people through empowering and supporting students, teachers and parents, hosted hosted 55 exhibitors including schools, education organisations, universities & research institutes, charities, public service providers and publishers. 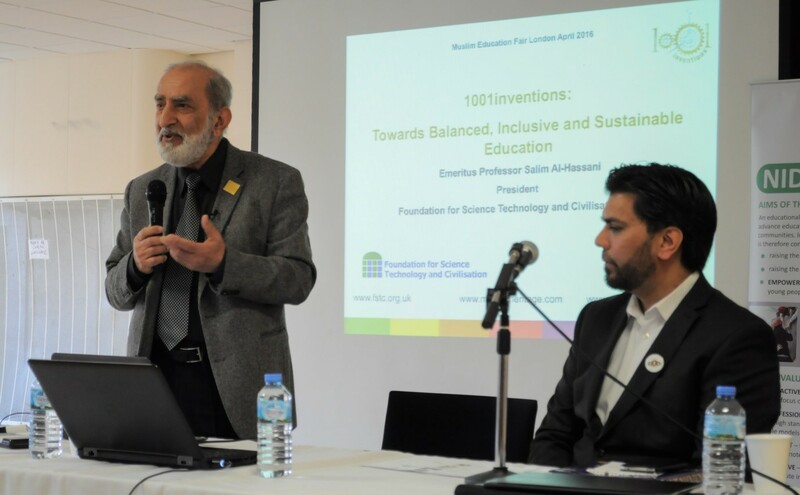 During the fair, Professor Salim Al-Hassani, President of FSTC, delivered a keynote speech entitled "1001 Inventions: Towards Inclusive, Balanced and Sustainable Education" in which he identified the importance of introducing balance, inclusivity and sustainability in education. Professor Al-Hassani explained that future world peace, happiness of individuals and societies require balance between extremes: balance between the materialistic and the spiritual, balance between competitiveness and care for others, balance between greed and generosity, balance between maximising profit and social responsibility, and of course balance in conduct of national and international politics. Such neglect enhances superiority complex in European youth whilst it enhances inferiority complex amongst ethnic minorities and that the lack of recognition and appreciation breeds extremism." 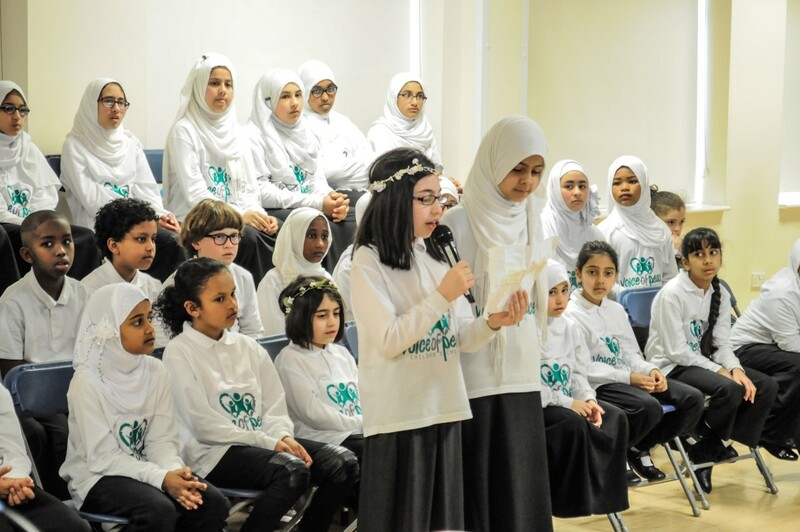 He welcomed the recent introduction of the name of Alhazen (Hasan ibn al-Haytham) in the new UK National Curriculum. Professor Salim Al-Hassani concluded with encouraging words for other governments to follow the UK example and expressed his hope that they will continue by recognising more scientists from other civilisations. What is more, he stressed that sustainable education requires engagement in learning about and solving real problems besetting society such as climate change, environmental issues, energy, the negative impact of market forces and consumerism.